Join them and make your website faster & Improve your search rankings. All products can be used for the lifetime. Subscriptions are set to automatically renew at 20% discount so that you will continue to receive updates and support after one year. If you would prefer not to renew, you can cancel your subscription at any time. Our "no questions asked" refund policy applies to renewals as well. Who should use PageSpeed theme? PageSpeed is for anyone looking to make their website fast and improve their Google PageSpeed score. It is easy to use for regular users and powerful enough with hooks and filters for developers. Do I need any coding skills to use PageSpeed? Absolutely not. It is very easy to customise PageSpeed to you liking and optimising a site built with PageSpeed is a 10 minute job. Can I use it on client sites? Yes, you can use PageSpeed on client sites. Will PageSpeed work with third party plugins? While our themes should work fine with most plugins, there is no way for us to test and guarantee that all plugins will work. All we can guarantee is that our themes are coded excellently and that any plugin that also uses coding best practices should play well with our themes. If you run into any problems, let us know so that we can look into it. 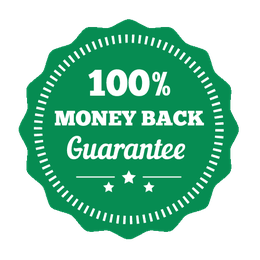 We also offer a 30-day money back guarantee just in case you discover that one of your third party plugins isn’t working and you decide to use a different theme instead. We want you to be completely happy with your purchase. If you are not satisfied for any reason, you can have your money back. Absolutely no questions asked. On how many sites can I use PageSpeed? Depending on the license you have, you can use PageSpeed on 1, 5 and unlimited sites. You get support and updates as long as your subscription is active. Which is usually 1 year from date of purchase. Will my website or PageSpeed stop working after my license expires? No. Your website and PageSpeed will continue to work even after your subscription expires. It’s just that you will miss out on new features and updates.